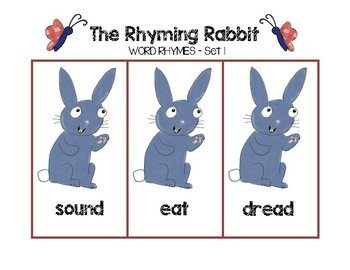 This is a spring themed grammar pack that pairs with Julia Donaldson's The Rhyming Rabbit . 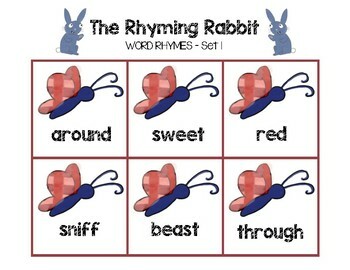 This printable includes 6 sets of six butterfly word cards and rhyming rabbit word cards. 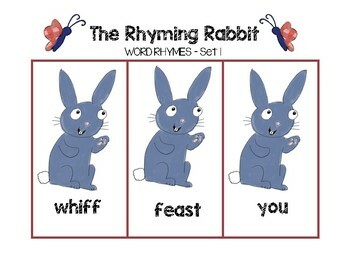 There's six color the matching rhyme worksheet (1 for each set) as well as three find and color the matching butterfly rhyming words (each worksheet combines two sets) (FREEbie in the preview). *Please check images to ensure this grammar pack works for your class/student(s) skill set.